The previous section set forth the history of Dracula, his long term goals, and his motivation in arranging for his 'biography' to be written by Mr. Stoker. But for a single man – Bram Stoker – the name Dracula would most likely never have been known outside a select circle of historians. 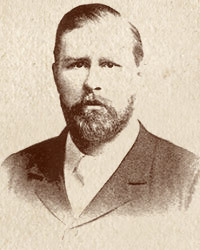 Stoker was born November 8, 1847 in Ireland, close to Dublin. He passed childhood sickly (nearly bedridden), darkened by ghost tales and the proximity of a cemetery, but by the time he arrived at university, he had recovered enough physically to be a star athlete. He had an uneven intellect and a mediocre talent for writing, but possessed a first rate imagination – which is to say his mind was susceptible to influence. He moved in the circles of creativity in London, being an acquaintance of Oscar Wilde's crowd, and the professional manager for Sir Henry Irving (Lyceum Theatre), the greatest British stage presence of his day. 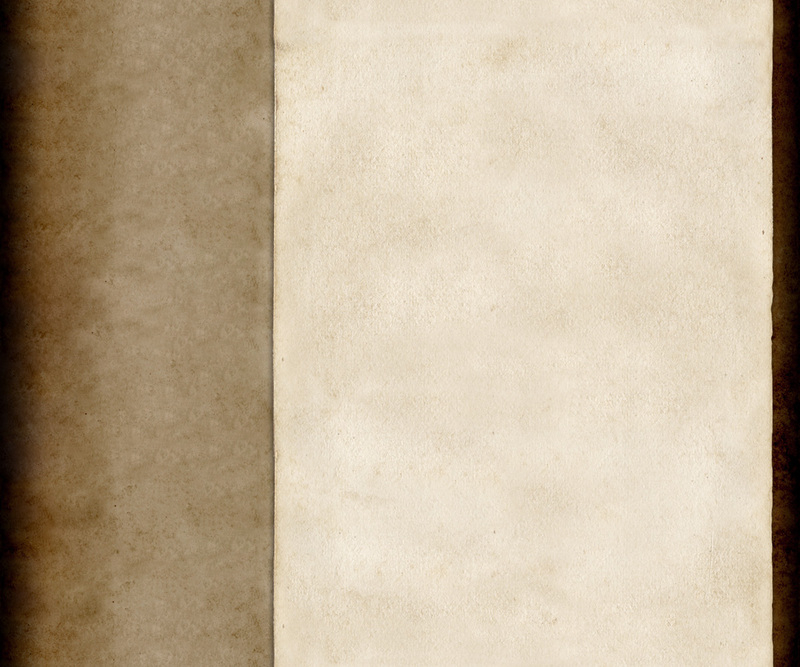 He tried his hand at writing, but with no great aptitude and no great success. Then, in the 1890s he began writing his masterpiece, Dracula. It was strange that Stoker should even have heard of Dracula, the personage known to history – Renaissance prince of Wallachia, sadistic madman, and local hero famed for holding the Turks at bay when they sought to annex Romania in the fifteenth century. But by Stoker's time, few people in all of England would have known the name Dracula. Though Stoker traveled widely in the service of Irving, as far as I can trace, he never visited Romania. Yet he possessed an incredible grasp of the country's personality. He knew details of transport, food, culture, history and myth. Of course, he had access to the London Public Library, which is, in fact, where he culled the great bulk of his information. But we are left with mysteries – how did he come to know of Dracula; why is there so much accurate information and yet so much misinformation in his book; how was he able to write a masterpiece, a magnitude more effective than anything else he ever penned? For though, to the modern sensibility, Dracula is ponderous and a bit silly, to the Victorian character, the audience of his time, it was horrific and sensational. It is impossible to understand Stoker and Dracula without speaking of the 'missing link' between the two of them – Arminius Vambery (1832 - 1913). Vambery is surely one of the most interesting people of the nineteenth century, and it is worthwhile to make a small detour to take a glimpse at the life of this genius. Ármin Vámbéry was born to a poor Jewish family and attended school in his native village, Dunajská Streda (in Hungary at the time), until twelve, and already showed a genius for languages. He used crutches to walk because of a birth defect. By sixteen he spoke or was learning Hungarian, Latin, French, German, English, the Scandinavian languages, Russian, Serbian, and other Slavic languages. He moved to Constantinople, learned Turkish and some twenty other Oriental languages and dialects. He returned to Budapest in 1861, and that fall, no longer needing crutches, he set out on a three year journey, disguised as a Sunnite dervish. He was the first westerner (since perhaps Marco Polo) to make such a journey, and his ability to maintain his disguise speaks volumes for his mastery of languages. In June, 1865 he visited London, where he was received as a celebrity because of his daring adventures and mastery of languages. He was professor of Oriental languages at the University of Budapest from 1865 to 1905. 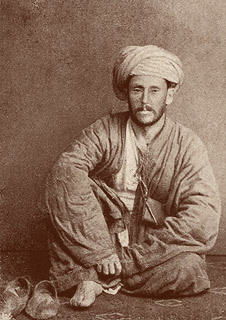 In 2005 the National Archives at Kew, Surrey, made public old files revealing that Vambery had worked for the British Foreign Office as an agent and spy against Russian ambitions in Central Asia. Not to put a fine point on it – Vambery was also a spy for Dracula and an adept mentalist; that is, he could both read minds and influence the thinking of others. As a linguist and polyglot myself, I am somewhat familiar with the names of those very few historical persons who might claim to 'speak' thirty languages. Without going into detail, not more than a dozen people have been able to learn so many languages well enough to pass for native in them. It is almost impossible to iron out the tiny wrinkles of grammar and, especially, accent in a language learned after the age of eighteen. That Vambery was able to do so well enough to pass as a native in various dialects for years, bespeaks his 'unnatural' advantage. Simply put, he was able to pluck much of his linguistic skills directly from the minds of people surrounding him. This, of course, is also the ideal talent for a spy. (This is in no way to denigrate his very great genius with languages.) He was undeniably a handsome man (as can be seen in this Mihaly Kovacs portrait), but a great part of his legendary charisma was perhaps due to an ability to 'enchant', for he was able to charm both men and women. It is known that Vambery was familiar with Transylvania, and the name Dracula. (I believe we can safely say he had met Dracula by 1861 - when he was miraculously cured of his limp - by Dracula.) Vambery was born 'Hermann Bamberger'. It is my belief that it is not coincidental that the Hungarian form of his name morphs towards the word 'vampire'. It is known that Stoker several times met Vambery in 1890 in London, and it is often argued that Vambery set Stoker onto the trail of Dracula and supplied him with a great deal of information concerning the Prince. (Others argue that there is no need to bring Vambery into the picture, as all Stoker's knowledge could have been attained from Stoker's listed sources.) Stoker works the name 'Vambery' into Dracula and the rather extensive quote below is valuable to show not only that Stoker acknowledges Vambery's influence, but also to see what Stoker understands to be Vambery's attitude towards Dracula. The quote has the character Van Helsing speaking. "I have asked my friend Arminius, of Buda-Pesth University, to make his record; and, from all the means that are, he tell me of what he has been. He must, indeed, have been that Voivode Dracula who won his name against the Turk, over the great river on the very frontier of Turkey-land. If it be so, then was he no common man; for in that time, and for centuries after, he was spoken of as the cleverest and the most cunning, as well as the bravest of the sons of the 'land beyond the forest.' That mighty brain and the iron resolution went with him to his grave, and are even now arrayed against us. The Draculas were, says Arminius, a great and noble race, though now and again were scions who were held by their coevals to have had dealings with the Evil One." Dracula p. 214, 2nd printing, first edition (Yale University Press) as reproduced in The Annotated Dracula, copyright 1975 Leonard Wolf. Here, more clearly than any place else, you have the voice of Dracula speaking of himself. That is to say, Dracula influenced Vambery, and Vambery influenced Stoker. Here we see the ego of Dracula applauding itself (via Stoker via Vambery) with the words, 'bravest, cleverest, most cunning, mighty brain, iron resolution, great and noble race.' At the same time Dracula wishes to make clear that his power is supernatural, deriving directly from the Evil One, himself – thus, to resist him is hopeless and perilous. Let us approach this directly from Dracula's point of view. The Prince had been skulking about in his native land for centuries, mastering his bat form, strengthening his body, enhancing his magic – the psychic powers of his mind. Finally sometime after 1850, he decided he had his homeland and his personal resources under sufficient control that the time had arrived to expand his conquests to the world at large. At this point I will simply re-present a few paragraphs from the Dracula section. "The idea took root in his mind that he would humble humanity, bring it to its knees, knock it back into the dark ages so he could dominate and feed on it. He brooded and researched until he contrived a plot. He would migrate to England, possessor at that time of the mightiest fleet on earth. There he would insinuate himself into the minds of the ruling family and the admiralty. Using British warships and the rats he could manipulate, he intended to systematically spread plague about the globe. He didn't want to exterminate humans, just cull them down to a manageable number and eliminate their technology. But the only tactics he knew were the tactics of terror. It's hard for a name to strike terror into the hearts of a gentry who've never heard of it. So he recruited an unwitting PR manager, Mr. Bram Stoker, who was in fact professional manager for Sir Henry Irving, the greatest British stage presence of his day. Mr. Stoker never knew his mind had been hijacked by Dracula. He simply found himself guided and obsessed. He wrote a masterpiece of Gothic horror." If you read anything else written by Mr. Stoker, you can quickly see that his talent is mediocre. To give him his due, Stoker's The Lair of the White Worm inspired Ken Russell enough to make a movie of it. And his The Jewel of Seven Stars is the spiritual grandfather of every mummy movie ever made, but he exceeded himself in 'Dracula' due to the Dark One's direct inspiration. I don't mean Dracula lent talent to Stoker – indeed, Dracula himself is lacking in literary talent – but he, via an intermediary, brought a huge psychic stimulation to Stoker's writing gift. Perhaps it's similar to electrically forcing maximal contraction on a muscle you can't normally so contract by your own will. Dracula had the goal of making his name a household terror to pave the way for his campaign. Stoker's work contains a great deal of misinformation about the prince. But much of the misinformation is disinformation, like dissolving into a mist, intentionally portraying him mightier than he is in order to instill fear. And some of it, like dying from holy water, paints him more vulnerable than he is, which protects him by gulling would-be vampire killers into harmless attacks. Some misinformation, such as not being able to cross running water, is simply Draculan idiosyncrasy. He loathes large, uncontrolled waters and avoids them if possible. As you see, even the factual errors often have some seed of truth. It really only remains to be said that the intermediary was, of course, Vambery, who had, perhaps, first detected Stoker's potential during his 1865 visit to London. At any rate, Arminius was the tool Dracula used to introduce himself to Stoker, to stimulate Stoker's interest and enhance his talent, and to direct him to sources of information. Vambery was not, I believe, in any way a sinister person, but merely a spy on a mission, with his mind, of course, under a unique degree of control by his paymaster. Next we will turn to the very little bit known about Dracula's lieutenants – that is, the other mighty vampires in his organization. Abraham Van Helsing is the older Dutch physician/scientist (with a list of initials after his name) who is the main font of information (and much misinformation) about vampires in Bram Stoker's book Dracula. He speaks English with a very uneven (and unconvincing) accent, and slips into German (not Dutch) when stressed. In the more recent movies (Dracula 2000 and Van Helsing, for example), he has become immortal and epically heroic – not to mention dashing in Hugh Jackman's representation. He could be left at that, except for Stoker's well known penchant for sneaking his real life acquaintances into the book. See http://www.insidepulse.com/articles/47316 for the correspondences of the main male characters to friends of Stoker's. Some have supposed that this was playfulness. For my part, I take it to be Stoker's attempt to indicate that there was a reality to his writings beyond the apparent fiction (even if this was merely a subconscious reflex, as I doubt that he himself seriously believed to be factual the story that he thought he was creating as myth). The identities of the other characters do not much concern me here, but that of Van Helsing himself does. It is often supposed that he represents Vambery, but I do not think so. This would leave us with the untenable situation of Vambery speaking to himself, when Van Helsing interacts with him concerning the history of Dracula. This is not consistent with what I believe Stoker does. He sets up parallels with the 'real world' in his work, not inconsistencies. This wonderful paragraph from the Wikipedia [http://en.wikipedia.org/wiki/Abraham_Van_Helsing] is certainly worth reading – 'There are several possible sources for the character of Van Helsing as described by Bram Stoker. German historian Max Muller is one possible suggestion, as an early draft of Dracula features a version of Van Helsing called Max Windshoeffel. Another is Theodore Roosevelt's uncle, Robert Roosevelt, who was a popular author, of Dutch descent, a scientist, and broadly matched Stoker's description in image and character. He was also a member of Stoker's "clique", which included Oscar Wilde and fellow Long Islander Walt Whitman. 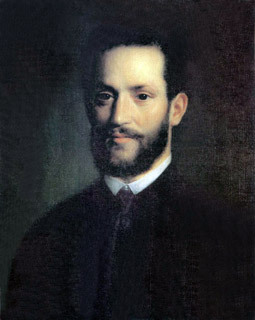 Arminius Vambery, a Hungarian professor who helped Stoker with his research into vampirism, is also a likely source for at least part of the character of Van Helsing. A possible fictional source is a similar vampire-hunting paranormal expert, Dr. Hesselius, who appears in J. Sheridan Le Fanu's seminal 1869 vampire story Carmilla, as well as other supernatural tales by the same author." However, I believe that those who think that Van Helsing is the characterization of Stoker himself are correct. I am not the only (nor the first) person to have thought so. Others seem to base their opinion on the fact that the physical description of Van Helsing in the novel is quite true to that of Stoker. (You can find this description quoted in the site I have cited above.) 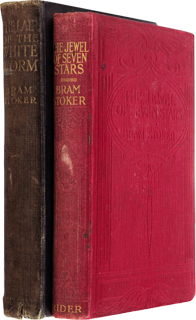 Also, of course Bram (as in Bram Stoker) is a shortened form of Abraham (as in Abraham van Helsing). And there are supposedly hints in some of Stoker's letters that he played some part in his work. My own reason is more peculiar to my way of thinking, that is my idea that Stoker uses his novel to parallel reality as he knows it. In short – the reality which Stoker knows is that Vambery is Stoker's source of information about Dracula (it was he who first put Stoker onto Dracula, inspired him, pointed out to him resources). This parallels the situation in the novel where it is precisely Vambery (brazenly so named) who gives Van Helsing exactly this same information. And Van Helsing brings it to the attention of his public (the book's cast of heroes and heroines), even as Stoker brings it to the attention of his public – the Victorian readership. There is more that can be squeezed out of this perception (Stoker's thoughts about himself, as seen by his comments about Van Helsing through the mouths of the other characters), but you can run with this yourself, if you are so inclined.